Astroturf film wins second award in Dallas. Following the screening at the Dallas International Film Festival this week ‘Live From The Astroturf’ won the ‘Audience Award for Documentary’, the second award the film has won after the ‘Best Documentary Short’ award in Phoenix. Dennis and Cindy Dunaway, Chris Penn and director Steve Gaddis were again on hand to accept the award. More festival screening are hopefully on the way. ‘The Well‘ has part 1 of a new golf related interview with Alice and while it’s starts with golf there is other stuff in there as well. Hollywood Vampires 2nd album details released. 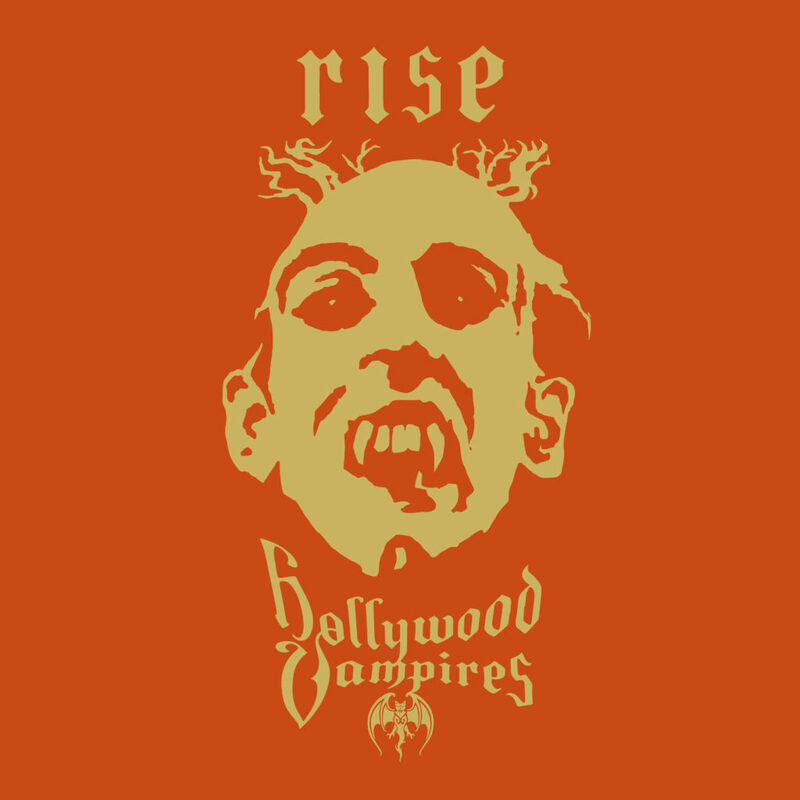 Good to their word EarMusic have release details of the new Hollywood Vampires album ‘Rise’ which will be released on June 21st. The video for the first single can be seen below, with the full album press release undeneath. EarMusic will be posting “Audio premiere and first album information” on their YouTube channel at 11pm UK time, 6pm EST for the US. You can set a reminder if you’re signed into YouTube. I’ve embed it below, but don’t know whether it will work watching live directly on this page. The new ‘Hellboy’ movie, a ‘R’ rated reboot for the franchise which isn’t getting the greatest reviews, apparently features ‘Welcome To My Nightmare’ on the soundtrack. I mentioned earlier that the new Beasto Blanco video for ‘The Seeker’ was due Monday… well, it’s just appeared on youtube so here it is! Ryan Roxie Releases New Single. Ryan Roxie releases a new single today from his ‘Imagine Your Reality’ album. This time it’s ‘Look Me In The Eye’ and you can check out the video below. Roxie is currently in the road in the US as part of the ‘Planet Axe’ tour. With the ‘Live From The Astroturf’ movie hitting the Detroit Film Festival this week there’s more press to promote it including articles in Detroit Free Press and Music Radar. Alice was in Phoenix on Wednesday (10th) at the ground breaking ceremony for a new ‘White Castle’ restaurant and was briefly interviewed by a local news channel KGUN. The restaurant chain has a “Hall Of Fame” and Alice was inducted a few years ago. In is honour the new outlet will have an ‘Alice Cooper Corner’ where a photo of Alice will be hung. Beasto Blanco will release a new promo video for ‘The Seeker’ on Monday. It’s the opening track of their new album ‘We Are’ and the promo was directed by Calico Cooper herself! There’s a short preview on her Facebook page. Talkhouse has an interview with Chainsaw Kittens frontman Tyson Meade talking about the influence Alice Cooper and ‘Billion Dollar Babies’ has had on his life and career. Alice Cooper adds Knoxville show. ‘Live From The Astroturf’ won an award for ‘Best Documentary Short’ at the Phoenix Film Festival this weekend. Dennis and Cindy Dunaway, Christopher Penn and Steve Gaddis accepted the award. 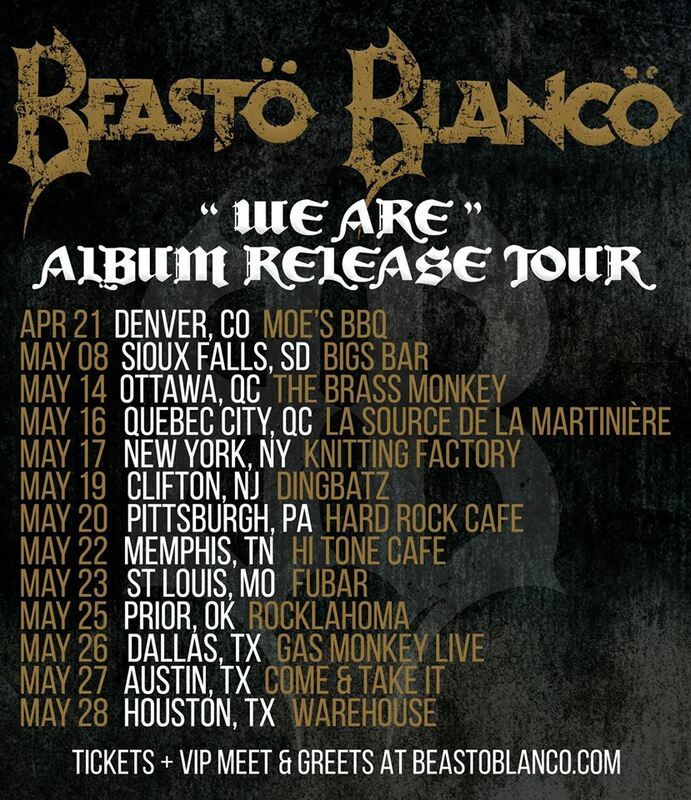 Beasto Blanco, the band comprised of Chuck Garric (long time Alice Cooper bassist) on guitars and vocals, Calico Cooper on vocals, Brother Latham on guitars, Jan LeGrow on bass and Sean Sellers on drums, will release their 3rd studio album ‘We Are’ on May 24, 2019 via Rat Pak Records. 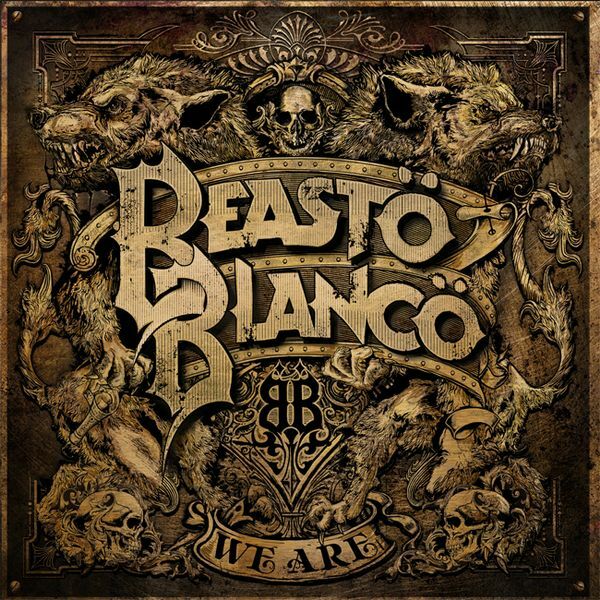 ‘We Are’ is the follow up album to their highly successful 2016 self-titled sophomore release ‘Beasto Blanco’. Produced by Ryan Greene, the new album is available for pre-order in various bundle configurations at: www.ratpakrecords.com/BeastoBlanco. 01 The Seeker, 02 Solitary Rave, 03 Ready To Go, 04 Down, 05 Perception Of Me, 06 Let’s Rip, 07 Half Life, 08 We Got This, 09 Follow The Bleed, 10 I See You In It, 11 Halcyon (Bonus-track CD & Download versions). AZCentral has a long article about the premiere screening of the ‘Live From The Astroturf’ film tonight at the Phoenix Film Festival. Expect some special guests at the screening! UPDATE: All four surviving members of the original Alice Cooper line up – Alice, Neal, Michael, and Dennis – where at the premiere. Ryan Roxie could be a guest on the ‘Electric Crush’ radio show on April 9th between 7pm and 9pm. You can listen in to the show here. While we’re still awaiting any details about either Hollywood Vampires albums set for release this year, you can now welcome fellow vampires to your home with HV doormats! Shep Gordon is interviewed on ‘Gilbert Gottfried’s Amazing Colossal Podcast’. which you can listen to here. Blue Coupe have a indiegogo pledge campaign currently running to help finance there forthcoming third album. You can check out what’s on offer here, which include downloads, signed discs, posters and cowbells! As to the new solo album, he’s considering releasing an EP of four new songs in time for the tour, with the full new album to follow in 2020. “There’s a certain Detroit sound we’re looking for [for the new songs]. It’s indefinable. There’s a certain amount of R&B in it. There’s a certain amount of Motown in it. But then you add the guitars and you add the attitude and it turns into Detroit rock. I feel like if we mine around with all Detroit players, we’re gonna find that sound.” He also mentions guest appearances by fellow Detroit natives Suzi Quatro and Bob Seger. “I can tell you Seger and I will be working on something on this new album. I talked to him and he said, ‘Oh, yeah, that’s be fun,’ and I said, ‘OK, let’s do it.’ So that’s going to happen in the future.” The original band are also set to contribute material, presumably in a similar way to the previous two albums. You can read the whole interview here. Alice will be appearing at the ‘FanX Salt Lake Comic Convention‘ between April 19th and 20th at the Salt Palace Convention Center in Salt Lake City, UT. This is a signing and Q&A session, not a show. The ‘Live From The Astroturf’ film will be shown at a couple more film festivals in addition to the Phoenix premiere on April 5th. It will be shown at Freep Film Festival in Detroit, MI between April 10th and 14th, and the Dallas, TX International Film Festival between April 11th and 18th. Keri Kelli’s ‘A New Revenge’ have released another new video, this time for ‘Never Let You Go’ which you can see here. It’s taken from their debut album ‘ Enemies & Lovers’ which is released March 29th on Golden Robot Records. ‘A New Revenge’ features Keri with Tim ‘Ripper’ Owens (Judas Priest) on vocals, James Kottak (Scorpions, Kingdom Come) on drums and Rudy Sarzo (Ozzy, Whitesnake etc) on bass.